Who doesn’t love optical illusions? I mean really, is there anything more fun than tricking your eye with optical magic? Actually yes there is, trick your friends’ eyes with optical fun and do it with a holiday theme! 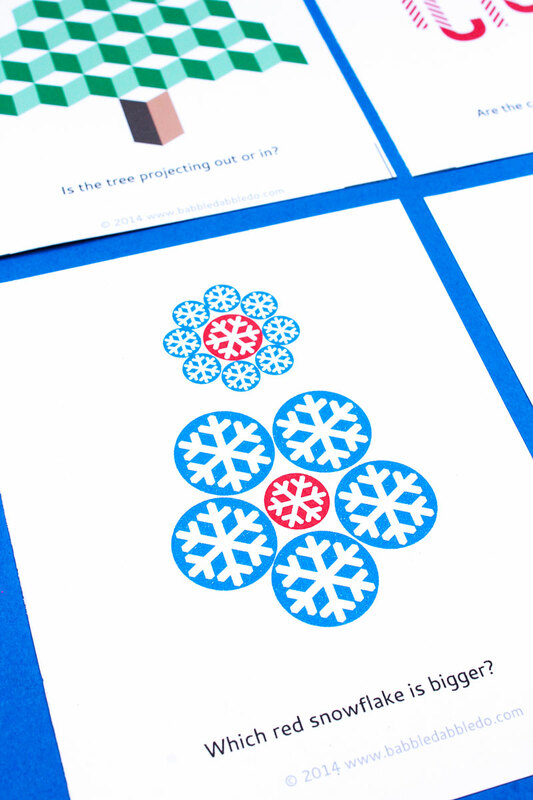 That’s what I have for you here today: 5 Holiday Optical Illusions you can print and download and use to fool your friends! I’m really excited to be part of a holiday series this year exploring the 5 senses. I’ve teamed up with 5 other awesome bloggers for this series and each week we will be exploring one of the five senses. When does it start? NOW! The first sense we are exploring is sight. I immediately thought of optical illusions, which I have been fascinated with since I was a kid. So I recreated some popular optical illusions holiday style! Download and print them and see if you can trick your friends! Are the cubes facing up or down? Answer: It depends on how you look at the image. Try and see it both ways. Answer: Yes, they are! The diagonal lines trick your eyes into thinking they are slightly slanted but in fact the vertical stems are perfectly parallel. Answer: They are the same size! 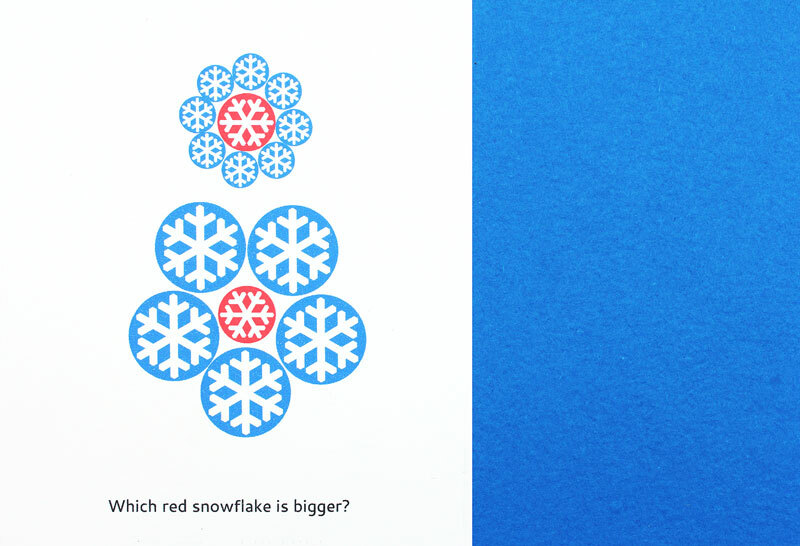 They look like different sizes when placed in context with other snowflakes that are either larger or smaller. Answer: Both! It depends on how you look at it. Try and see it both ways. These are my favorite. My kids were fooled every.single.time. Here’s how you do it: Lay the two banana cards next to each other facing the same direction. Now ask which one is larger. Inevitably the one on the left looks larger. When someone points to that one ask them “Are you sure?” and then switch the cards. 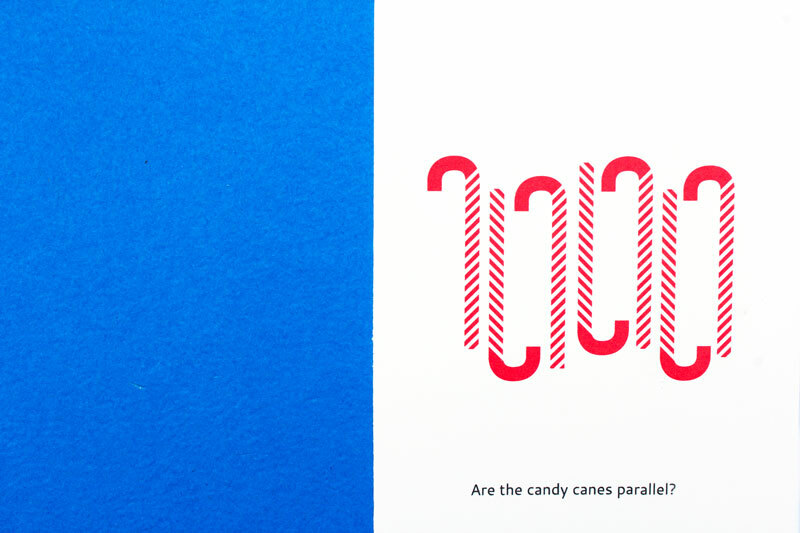 In fact the cards are the same size but the curve tricks your eye into thinking the one on the left is larger. To prove they are the same size stack them or turn one of them the opposite direction. Did you have fun with this? I never get enough of optical illusions and I hope this illustrates a how the brain can be tricked into seeing something that in fact is not reality. If you want to learn more about the science behind optical illusions start here. You can also use these as holiday cards! 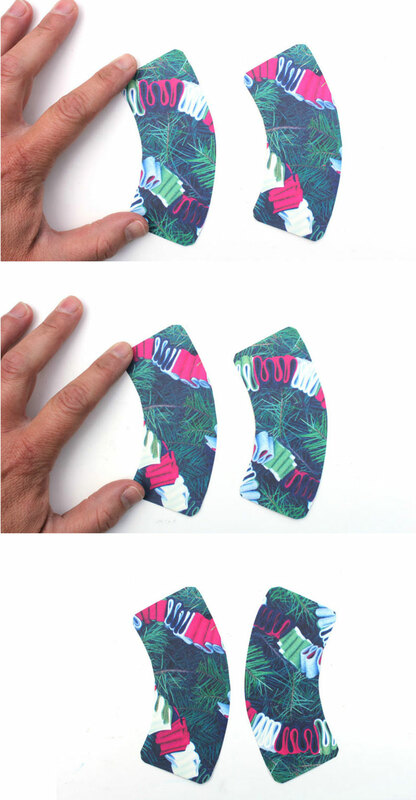 I’ve added few more AND a holiday Flexagon that you can purchase and download here on Etsy. 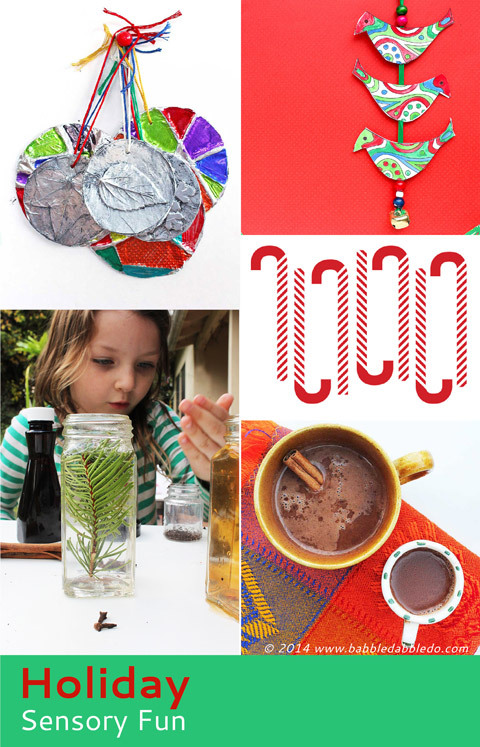 katepickle recently posted…Free Printable Christmas Glasses! It took me ages to find the present missing a corner! These are great 🙂 I think I’ll pop one a day in my daughter’s lunch box as a conversation starter with her friends. How are you so freaking smart?! This is really cool Ana. The banana cards are my fav! Meri cherry recently posted…DIY Santa Binoculars – Where is That Guy? Optical illusions are so fun. I love how made them with a Christmas twist! That was fun! Thanks for the tricks. Matt D. recently posted…100 Reasons It’s Really Great To Be A Guy!